In April 1996 Rushden Hall was licensed for Civil Marriages and is the perfect setting for Weddings and Civil Partnerships. The Hall dates back to the 14th Century and is an interesting mix of styles, which has resulted in an attractive house of mellow limestone under a clay tiled roof. The Hall is surrounded by 32 acres of beautiful parkland which makes a superb back drop for wedding photographs. 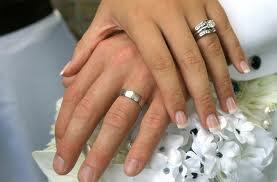 The two rooms available for wedding ceremonies are the Fletcher Room and the Panelled Room. The Fletcher Room is named after the Fletcher family who resided at the Hall from 1755 until the 1820's. This room was originally the drawing room with its open fireplace and has splendid bay windows which over look the surrounding parkland. The Fletcher Room can accommodate 56 seated guests for a ceremony and 40 seated guests for a reception. The Panelled Room is a smaller, more romantic ceremony room which is particularly attractive with 15th century 'linen fold' wooden panelling. This room can accommodate 42 seated guests for a ceremony. The hire of the Morning Room, Panelled Room and Fletcher Room as a suite allows exclusive use for a ceremony. Because of the historical importance of our public rooms, we do not allow the use of disco equipment during receptions, but we do permit the playing of gentle music beffiting the ambience of the building. Please Note: Our fees are for the hire of Rushden Hall only and do not include the cost of the Registrar. Please contact Northamptonshire County Council Tel. 0300 126 1000 or http://www3.northamptonshire.gov.uk/councilservices/births-deaths-ceremonies/weddings-and-ceremonies/weddings/Pages/default.aspxfor the current ceremony fees. Rushden Hall can accommodate larger events in our Walled Garden, which is adjacent to the Hall and a perfect setting for a marquee. 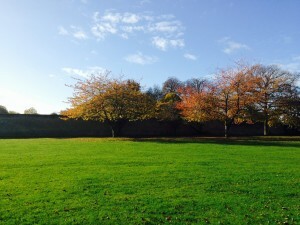 Although the area is part of the public park, as the name suggests, the surrounding wall gives complete privacy and is a perfect location for a summer wedding or special occasion. The Walled Garden dates back to the 15th Century and is a beautiful 2 acre grassed area with mature trees and fruit trees. There is water and power supplies to the Walled Garden and we permit all forms of music in this area. Please Note: Our fees are for the hire of the Walled Garden only. Additional costs for the hire of marquee, toilets and security when booking the Walled Garden is the Hirers responsibility.